The last thing anyone wants in the workday is to feel unmotivated and unproductive. If your productivity plummets, it can not only throw off the day, but it can disrupt an entire week of progress. A cup of coffee or a good night’s sleep may boost your energy, but those things alone can’t guarantee efficiency. There are, however, a few things you can do right at your desk to increase productivity at work. Lighting plays a big role in boosting productivity at your workstation. Consuming natural light from your desk will help you stay alert and be productive. Unfortunately, we don’t all have that luxury. If you don’t get natural light at your desk, brighten up the space with artificial lights. Kenan-Flagler Business School reported that the best lighting for productivity is cool, blue light because it lowers melatonin levels, making you feel awake. Surround yourself with things that make you happy. As obvious as it may seem, happy workers are efficient workers. Spruce up your workstation with items that make you feel happy, like photos, art or inspiring décor. Putting a plant or two nearby can also aid in your overall happiness because seeing plants make you feel connected to nature. Careful though – going overboard on the décor can quickly look and feel like clutter. Adjusting office furniture and equipment to your body’s needs will make a big difference in your productivity. Ensure your computer is at eye level and that the keyboard’s position isn’t hard on your wrists. You can also check into desk chair alternatives, like standing desks, ergonomic chairs or balance ball chairs to maximize comfort in the workstation. When you’re comfortable, you’re more motivated. Studies show boosting productivity at your desk requires decluttering your desk. Organize your workspace, and your mind will be focused. Plus, you’ll save time by knowing exactly where something is when you need it. It’s impossible to be productive if you’re constantly being interrupted. If you can’t get some solid, uninterrupted time in your day, you’ll have to plan for it. Silence your phone (or put it on do not disturb) and let colleagues know you’re unavailable. You’ll be able to accomplish a lot in just an hour or two with zero distractions. Warmer temperatures make us more productive. According to a study by Cornell University, workers made 44 percent less mistakes when the temperature was about 77 degrees Fahrenheit, as opposed to around 68 degrees. Whether you have a standing or sitting desk, it’s important to move around during the work day. It’s suggested to walk away from your desk once every hour. Not only is it good for your physical health, but the change of scenery can refresh your mind. So, take a lap around the building or grab a glass of water – just don’t forget to move around! Adding a second monitor to your workstation can help you work faster. Consider the amount of time you take to open programs, find already open windows or dig up a buried file. All of that becomes easier with a second monitor because you have more on-screen space. It may feel clunky at first, but you’ll soon be able to pivot tasks quickly without wasting time. Don’t check email as soon as one comes in. Sure, that next email could be a prospect, a vendor, a coupon – or hundreds of other things that can wait. Office workers get an average of 121 emails per day. If you’re checking each email as it comes into your inbox, you’re taking your focus away from what you’re working on. Try responding to emails for 15 minutes per hour or once every two hours. This ensures you respond promptly while also remaining productive on the task at hand. WorkReady Suites is commercial real estate firm with partners in Washington D.C., Baltimore and Chicago. We can find the perfect commercial office space for your company’s needs, get you moved in and help with all the logistics along the way. 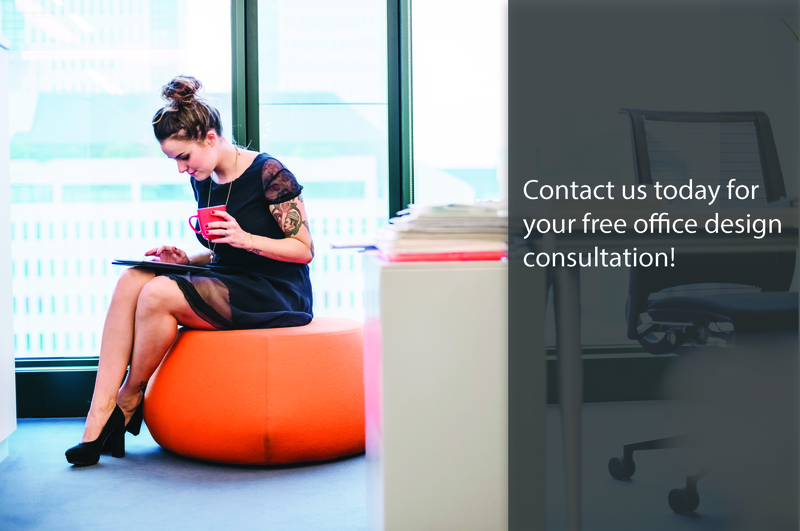 Check out our suite of services that help make running your business easy and efficient.